This post summarizes the Tide chat meeting from June 26th in the #tide Slack channel (agenda, Slack archive). Reminder that the current Tide focus is integrating PHP Compatibility data from Tide into WordPress.org. Once PHP Compatibility is integrated into WordPress.org, we’ll assess the next focus to provide the biggest impact to the community. The migration to GCP is for the most part complete. Now that we’re in v1.0.0-beta we only have a couple of issues to fix. 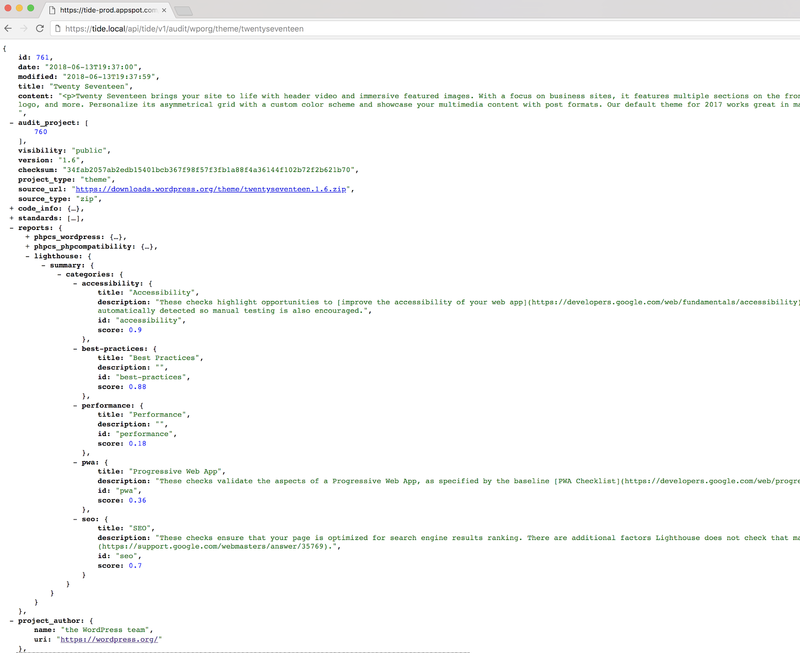 There are docs that need to be tested and updated, a duplicate audits issue where Firestore is not locking the message quick enough and other kubernetes pods are running the same audits more than once (not on every item but enough to be an issue), and the endpoint for .ORG that allows a push instead of pull architecture (this code is written but @valendesigns need to test and merge). Seeing a lot more capacity over AWS, maybe 8-10 times more. We were doing at peak around 1.3-1.8k an hour on AWS and on GCP we were doing 12-13.4k an hour. This was discussed some at WCEU, but the idea is to create a ruleset for auditing WordPress themes and another for WordPress plugins. The complete WPCS ruleset isn’t quite the best approach for plugins and themes individually, so we’re considering creating a ruleset specific to each. @grapplerulrich looking to run the subsets instead of the whole `WordPress` ruleset? These would be `WordPress-Core`, `WordPress-Docs` and `WordPress-Extra`. This would give us more fine tuned results and exclude `WordPress-VIP`. If we make the change now then we will have a few plugin version to be able to understand the trend. We had a conversation with roughly 10 or so contributors on Saturday and the work @jrf has done could be used as the base for targeting plugins/themes. It’s going to need a lot of discussion but some of the heavy technical lifting has already been done. We’ll likely look to open upstream issues with WPCS to further the discussion on this topic, we’ll share those issue links here once they’re created. In order to accommodate a wider audience, we’ll be moving the Tidechat one hour earlier starting next week, so we’ll now meet weekly at 20:00 UTC. The next meeting will take place on July 3, 2018 at 20:00 UTC in the #tide Slack channel. Please feel free to drop in with any updates or questions. If you have items to discuss but cannot make the meeting, please leave a comment on this post so that we can take them into account. At WordCamp US last December we introduced Tide. Tide was our reaction to what we, and many other in the WordPress community, believe is critical to the future of the Open Web. A future where the standard of code in WordPress is high and its users can be confident in its performance, security, reliability, and accessibility. Tide is a very practical solution to achieving this, ultimately improving the quality of code across the web. The WordCamp US announcement represented the proof of concept stage for Tide and helped highlight ways in which updating WordPress plugins and themes based on WordPress Coding Standards could make the open web more performant, secure, reliable, and accessible. Since then, we’ve been spending time reviewing feedback from WCUS, meeting weekly with the community, and enhancing Tide based on what we’ve learned. Tide’s vision is inspired by the proverb “A rising tide lifts all boats”, when we lower the barrier of entry to writing and choosing quality code for enough people, it will lift the quality of code across the whole WordPress ecosystem. Tide helps to make it easier to improve the quality of code throughout the WordPress ecosystem and help WordPress site owners make better choices about plugins and themes. 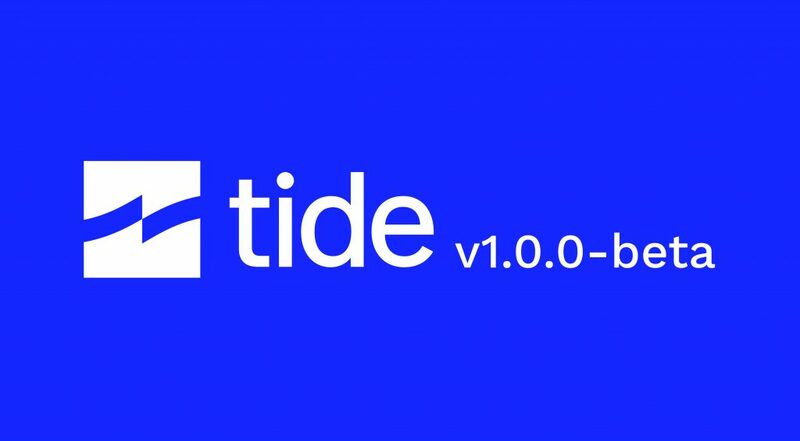 As of today, we’re excited to announce Tide 1.0.0-beta, now available on GitHub and at wptide.org. This version adds Google Cloud Platform (“GCP”) and local-only infrastructure support, integrates Lighthouse performance analysis, and provides documentation for the entire platform to help onboard contributors and developers looking to improve their own code. Please update any forked repositories or local instances of the previous version of Tide as it will be deprecated later this month. The prototype version of Tide from WordCamp US was based on Amazon Web Services (“AWS”), but with the release of Tide 1.0.0-beta we’ve migrated to GCP and have rewritten the Tide services in the Go programming language. This helps to provide a better integration point with WordPress.org as the GCP environment and Go services are more performant and cost effective. This is the first step towards WordPress.org integration. You can find the code for Tide on GitHub at https://github.com/wptide/wptide. In order to minimize the needs for developers or contributors to setup GCP or AWS infrastructure to use Tide, we’re providing a local-only option. This way you can run all the Tide services locally on your computer and not need to rely upon or pay for anything additional. Note that for now we’ve only fully tested on MacOS, so non-MacOS setup and usage will vary a bit until we can test across non-MacOS platforms and provide resolutions to any issues there. In order to run Tide locally, you’ll need Composer, Docker, Go, and Glide; additionally for Windows you’ll need Make installed based on our testing so far. Full setup instructions are available in the Tide documentation (see below). Along with the WordPress Coding Standards and PHP Compatibility results for plugins and themes in the Tide API, we’ve also added support for Google’s Lighthouse auditing to include performance, accessibility, and other results for themes in the Tide API. The prototype version of Tide from WordCamp US was built as a proof-of-concept and had limited documentation; what did exist then was mainly within the README file for setup instructions on AWS. For 1.0.0-beta, we’ve significantly extended the documentation to include installation instructions for GCP and the local-only option, details on the various Tide services (API, Sync Server, PHPCS Server, Lighthouse Server), working examples of the Tide API, as well as how to contribute to better utilize and improve Tide. 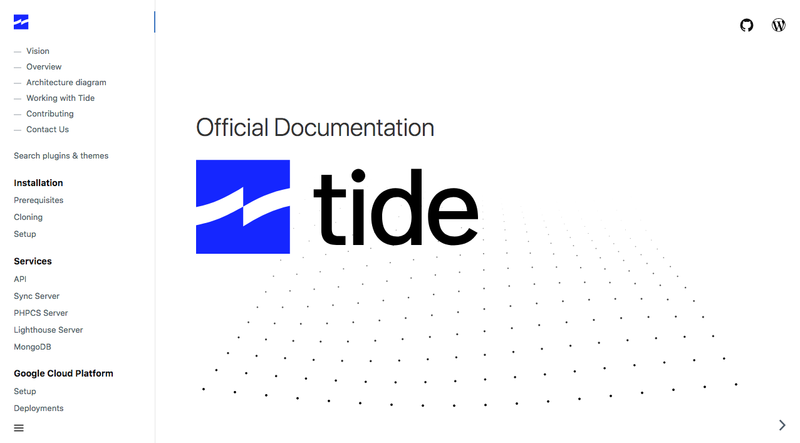 The documentation site is available at https://www.wptide.org (including a searchable demo of the Tide API search). The source for the documentation is available at https://github.com/wptide/docs. The next step on the Tide roadmap is working with the WordPress.org systems team to integrate the PHP Compatibility results from the Tide API into the WordPress.org repository database so that it can be displayed on plugin and theme pages. You can follow along via the roadmap we’re establishing at https://github.com/wptide/wptide/wiki/Roadmap. Note that we’re using ZenHub to manage Tide’s product development process and that you may need to install the ZenHub Browser Extension to see all the details within the Tide roadmap. This plan represents what will take Tide from concept to practical application for the WordPress community. If you have feedback for the WordPress.org integration, then please comment in GitHub or ZenHub. If you have ideas or feedback on future Tide roadmap ideas, then please add those as GitHub Issues at https://github.com/wptide/tide-issues/. Alberto Medina, Bart Makoś, Brendan Woods, Daniel Louw, David Cramer, David Lonjon, Derek Herman, Jeffrey Paul, Justin Kopepasah, Jonathan Wold, Joshua Wold, Leo Postovoit, Lubos Kmetko, Luke Carbis, Maxim Siebert, Miina Sikk, Mike Crantea, Rheinard Korf, Rob Stinson, Sayed Taqui, Tammie Lister, Utkarsh Patel. Please join us for our weekly meeting on Tuesday’s at 21:00 UTC in the #tide channel in WordPress Slack. See you then! This post summarizes the Tide chat meeting from June 5th in the #tide Slack channel (agenda, Slack archive). Identifying any changes needed to the input to, processing of, or output from Tide as it relates to .ORG so we know what gaps need to be closed in order to support a .ORG integration. Updates to follow as we’re able to meet with @otto42, but that will likely be after WCEU. The next meeting will take place on June 19, 2018 at 21:00 UTC / June 19, 2018 at 21:00 UTC in the #tide Slack channel. Please feel free to drop in with any updates or questions. If you have items to discuss but cannot make the meeting, please leave a comment on this post so that we can take them into account. This post summarizes the Tide chat meeting from May 29th in the #tide Slack channel (agenda, Slack archive). The next meeting will take place on June 5, 2018 at 21:00 UTC / June 5, 2018 at 21:00 UTC in the #tide Slack channel. Please feel free to drop in with any updates or questions. If you have items to discuss but cannot make the meeting, please leave a comment on this post so that we can take them into account. This post summarizes the Tide chat meeting from May 15th in the #tide Slack channel (agenda, Slack archive). The problem is that PHPCS only checks things per file and can’t remember what it has already checked for. It would require checking for `add_theme_support` and building an array then verifying that it’s tagged in the header. Benefit is that it would help verify that a theme is actually adding the support for a feature if it using the tag or that if a theme has the feature then it should be tagged correctly so to make it better to search for. We are currently switching to the Google SDKs and then will test everything on GCP. There will be a new repo coming very soon. Google Storage and S3 are easy to replace locally. However, SQS is not as easy to replace locally and we’re planning to use Firestore on GCP so two very different solutions that when trying to create a local queue is a bit more work and may not be ready by next week. The next meeting will take place on May 22, 2018 at 21:00 UTC / May 22, 2018 at 21:00 UTC in the #tide Slack channel. Please feel free to drop in with any updates or questions. If you have items to discuss but cannot make the meeting, please leave a comment on this post so that we can take them into account.